The MS degree is designed to help students develop an interdisciplinary perspective on environmental science research, taking classes ranging from biology to philosophy to geography. By the end of their degree program, students are expected to become independent researchers through the writing of a MS thesis guided by a major professor and thesis committee. The program consists of 36 graduate hours, including 30 hours of organized course work, special problems classes, and seminars at the 5000 and 6000 levels, plus a 6-hour scholarly thesis based on original research. Remaining classes may be selected from the core groups as electives or from non-core options as agreed upon by the student's advising committee. See the Environmental Sciences Curriculum page for further information. For further information concerning the MS application process, please visit here. 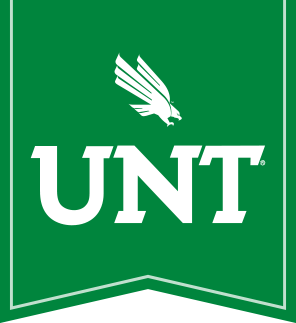 UNT's Professional Science Master's Degree in Environmental Science is an innovative, interdisciplinary degree with no thesis requirement. It is designed to allow students to pursue advanced training in science while simultaneously developing workplace skills highly valued by employers. PSM degrees prepare students for science and technology careers in business, government, and nonprofit organizations. It includes rigorous advanced training in Environmental Science and the development of workplace skills valued by industry, business, government and non-profit sectors. The degree requires 5 hours of required core courses in Environmental Science Core, 9 hours in the Environmental Science Distribution Groups, 6 hours of elective courses in Environmental Science, 12 hours of supplemental skills-based courses in business, writing, communication, public administration or environmental ethics and a 4 hour internship. For additional information concerning the PSM curriculum visit here. Students currently enrolled in the PSM program who wish to switch to the MS or PhD in Environmental Science, or vice versa, must re-apply to the respective program. For further information concerning the PSM application process, please visit here. The Doctoral degree in Environmental Science is a research degree that requires successful completion of an innovative dissertation project. A five- to six-faculty member Doctoral Committee will help the student select courses for a degree plan. Students entering the Ph.D. program without a MS degree are required to take a minimum of 72 hours of graduate-level course work, while students entering the Ph.D. program with an MS degree are required to take a minimum of 42 additional hours. The Ph.D. degree requires the entire Foundation Core (5 hours), 12 credit hours from at least 3 of the distribution groups, 7 organized elective courses (incoming w/o Master's) or 4 organized elective courses (students w/ previous Master's in related field, such as biology, chemistry, or environmental science), as well as 12 hours of dissertation research. Organized electives do not include special problems credit hours or research credit hours, and may be selected from the core groups as electives or from non-core options as agreed upon by the student's advising committee. See the Environmental Sciences Curriculum page for further information. For further information concerning the PhD application process, please visit here.